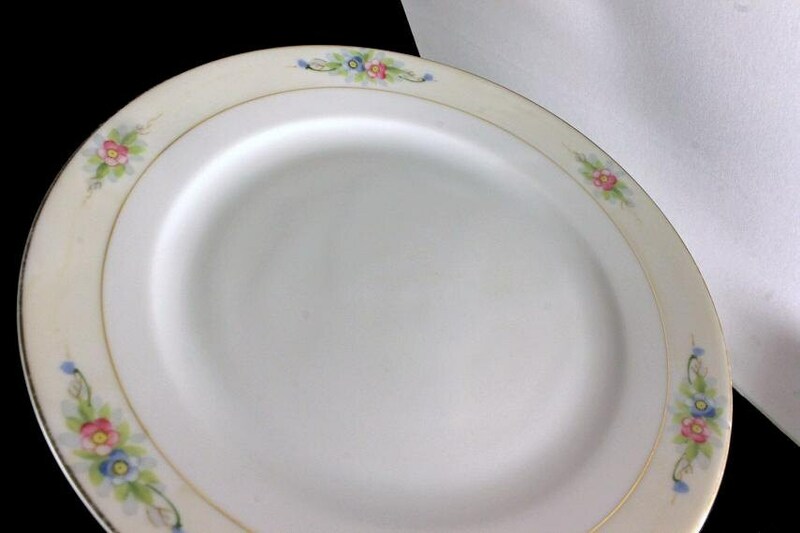 This is a lovely salad plate by Noritake. 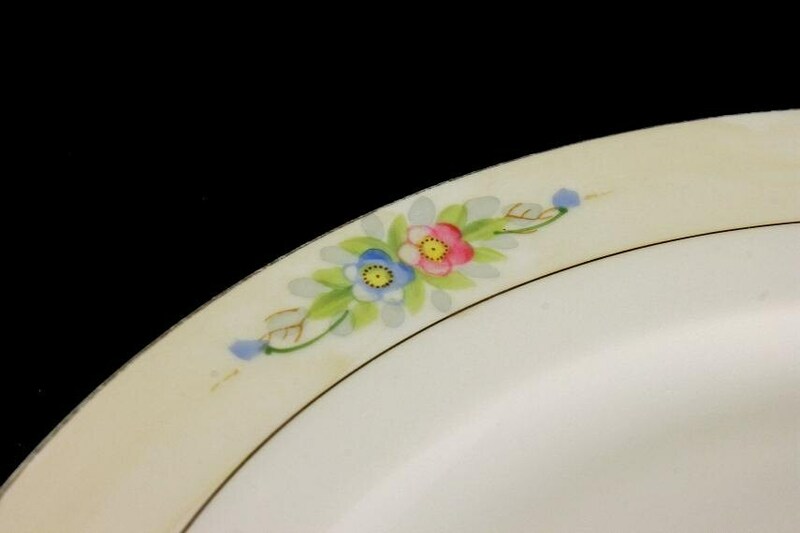 This plate is white at the center with a light yellow rim and pink and blue flowers. 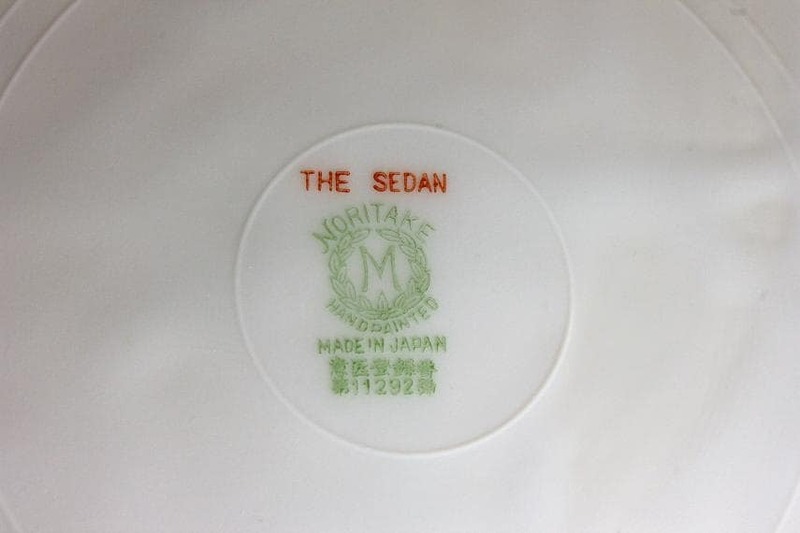 The pattern is called The Sedan. 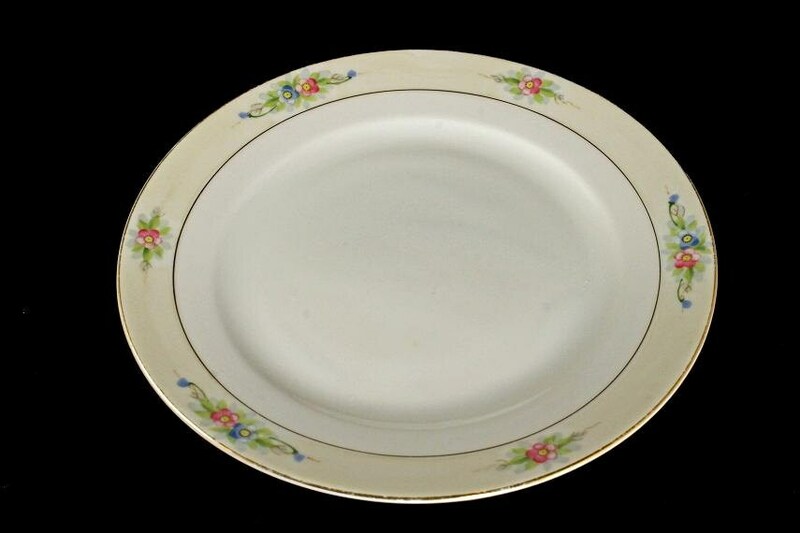 Between 1890 and 1921 the Noritake company marked their export china with "Nippon" in western characters. This dates the pieces from after the McKinley Tariff act demanded "Japan" was used. 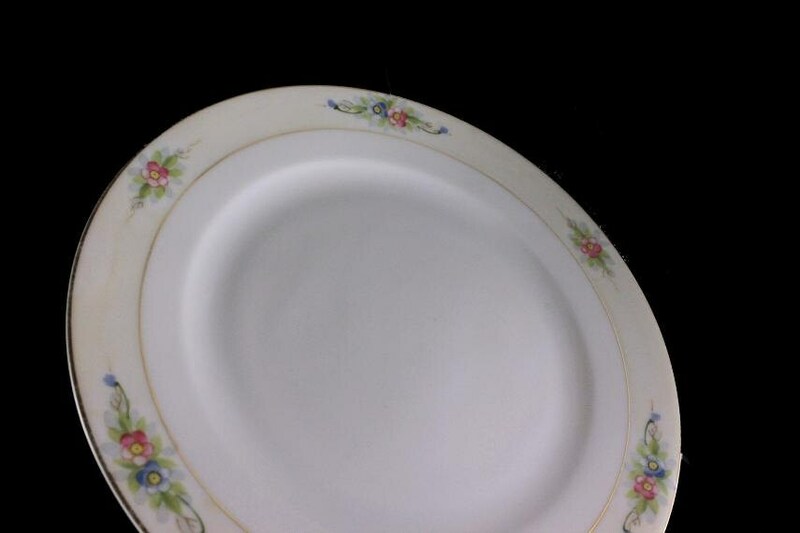 This vintage plate is in very good condition. There are no chips, cracks or crazing. There is some wear on the gold of the rim from years and years of being used and loved.